St John’s Wood church in North West London celebrates its bicentenary in 2014, and in April some years of interesting research work here came to an end. Our Vicar, Anders Bergquist, presented the church record first to our NADFAS monthly meeting and then to the congregation on Palm Sunday. In his address Anders highlighted the importance of remembering, which of course we do through the retelling of the events of Easter week. then he went on to highlight another way of remembering which we have achieved by our careful observation and documentation of all the items in our church. It was the Vicar who suggested this course of action to us, a newly formed History Group in St John’s Wood, and this church recording became our first group project. 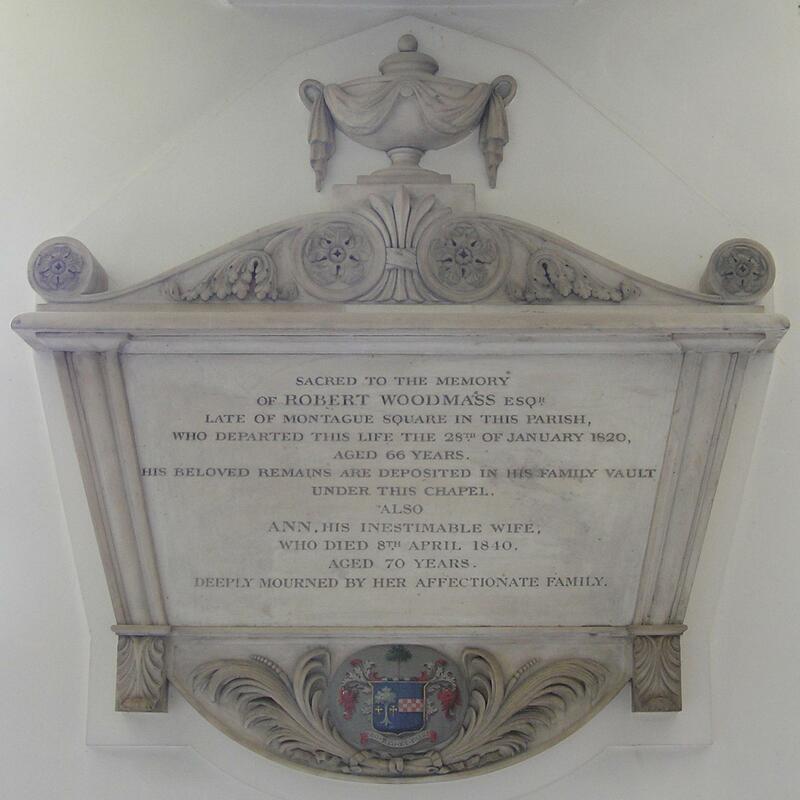 The church has an interesting collection of silver and a beautiful collection of vestments but it was originally built as a funeral chapel when St Marylebone church burial ground became overcrowded, so it is the memorials which first catch the eye. 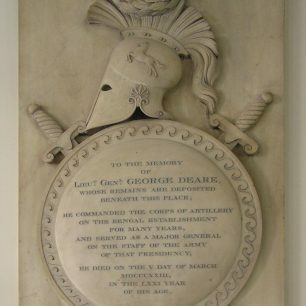 They mainly commemorate people who lived overseas and returned to London at the end of their lives – men who had joined the East India Company or fought in remote places in the Empire, or families who had lived on their West Indian plantations and brought the profits back to invest in the Industrial Revolution in Great Britain. 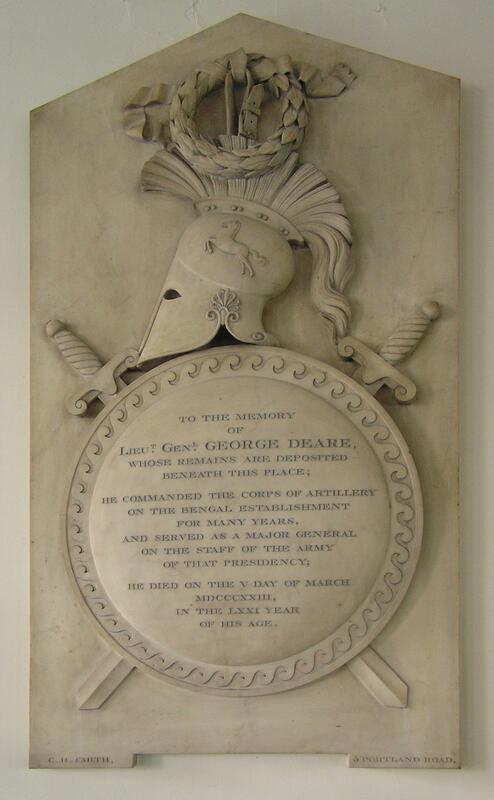 This photo shows the memorial to Lieutenant General George Deare of the Bengal Artillery, part of the Bengal Army which had been formed in the mid eighteenth century and belonged to the East India Company. 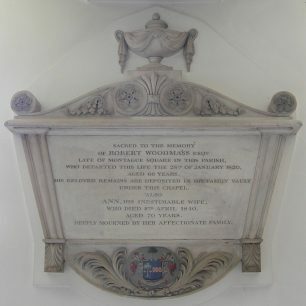 On his retirement he came to live in St Marylebone for many years. 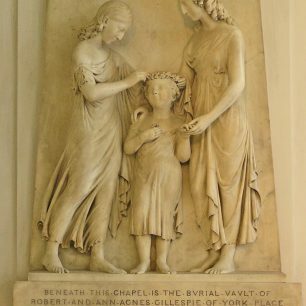 The sculptor was C H Smith, whose name is on the base and whose studio was in Portland Road; he was an architectural sculptor who worked on the exterior of the then new National Gallery. 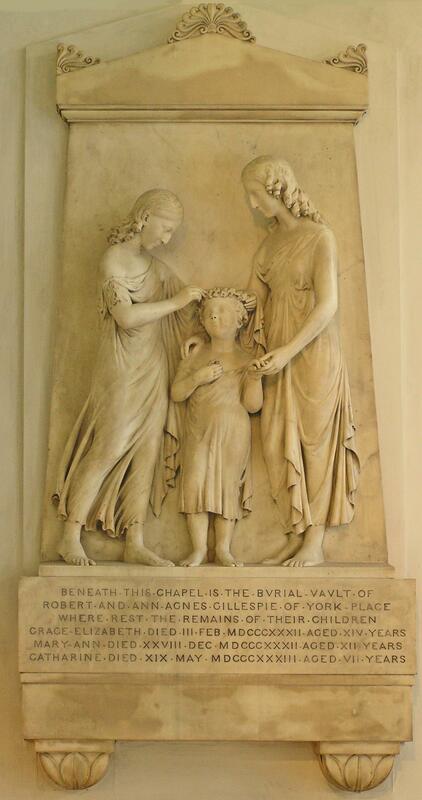 There are also sad memorials to local children who died tragically young. Having completed our research, with full support from all the church staff, Anders has given it prominence and permanence by having the church’s copy superbly bound in green quarter leather by the binder who does all the work for the Lambeth Palace Library, so a new treasure has joined the many others at the church. This page was added on 04/05/2014.